We’ve been in our new home for just over a week now. For many reasons, we decided that I would homeschool all five of our children for at least the remainder of this school year. One of the main perks the kids and I were looking forward to was a more relaxed schedule. No more screaming momma trying to rush the kids out the door by a specified time. Gone would be the days of frustration at trying to “get it all done.” And yet, I seem to be having difficulty adjusting to this lifestyle! Apparently I’ve spent so many years rushing everywhere that I have forgotten how to chill the heck out. The kids have done great with their school work, finishing in a fraction of the time had they still been in public school….which sent me into a panic, emailing other homeschool moms to calm my fears. Am I not assigning them enough work? Are my kids going to fall behind? Thankfully those mommas put my mind at ease before I doubled up the kids’ workload. When the typical after school hour rolls around, we have nowhere we have to be. 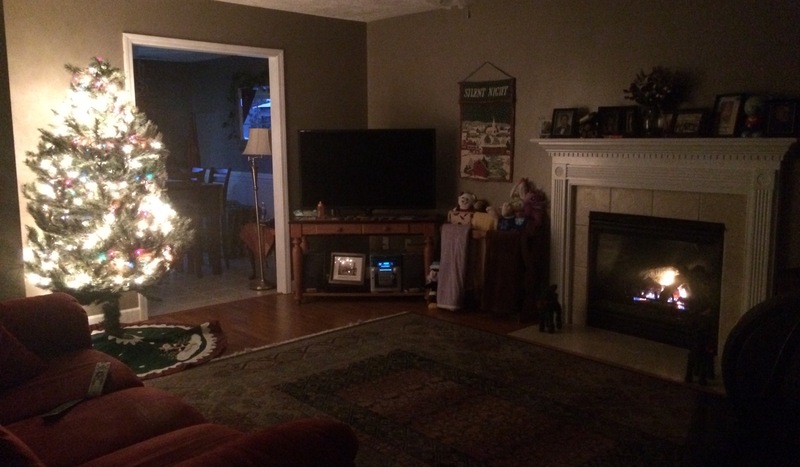 No practices, no bonus kids to pick up, absolutely no rushing out the door…ever. You’d think that would be pretty easy to get used to, and yet here I sit, telling you that it’s not! I’ve been afforded an opportunity to slow it down for a while, to spend more quality time with my children without the anxiety that accompanies an overbooked schedule. They are growing insanely fast and Lord knows I am not getting any younger and I’ve been squandering this incredible luxury of essentially having them all to myself, even if only for a few months. Earlier this week, Mom & I took the kids out to run a few errands. Because of the randomness that was our shopping list, we decided to hit the nearest big box store as opposed to making several stops. In case any of you have lost count, I have five kids at home, so as you can imagine that brings a whole other level of good times to venturing into public. What I can say about this particular experience is that it wasn’t my kids that tainted my mood, it was the grownups we encountered. Aisle after aisle we were met with people glaring at my not loud, but not quiet, brood. Then there were those with buggies planted firmly in the center of the row, refusing to budge when my son politely said “excuse me.” There was one highlight, locking eyes with the momma who’s four littles were engaged in a wrapping paper sword fight 😂 We made our way to checkout where I met my match, the sour faced cashier. I’m a stubborn woman, y’all, so I made it my life’s mission to get this woman to smile or at least speak! I tried everything, and she never even looked up…ouch! I will admit, it frustrated me. What on earth could make someone be so rude?! This morning I was thinking about this little shopping trip and I believe I’ve pinpointed why it irritated me so much. We are in the midst of the Christmas season and yet a vast majority of people seem far from jolly. This is not a recent development, I’m sure you’ve seen it year after year as well. If you’ve ever been out on “Black Friday” then you’ve seen the worst of the worst…one time & never again! Perhaps what bothered me even more was how I allowed others’ attitudes to effect my own. So I’m determined to make it my goal this holiday season to be the light even when surrounded by sour faced, non-budging, disapproving faces. Just keep smiling, friends, and chat up that cashier. Offer well wishes and be sincere! (I believe I just channeled my inner Dr. Suess for those lines.) You may not get the reaction you’d prefer but we don’t do life like we do to get a response, we do it to show the love of Christ. And the truth of the matter is, we have no clue what the strangers we meet are going through to make them interact with others the way they do. I don’t ever want to become so insensitive & hard-hearted that I can’t see past someone’s stern expression to offer a warm smile in return. If you are one of the ones struggling to find a reason to smile, think of just one thing you have to be thankful for and let that become your focus today. It sounds simple enough, but we oftentimes forget. Especially in the everyday things that we tend to take for granted. Our appreciation goes unspoken leaving those around us feeling undervalued and quite possibly unloved. It literally takes a moment to say thanks to those who deserve to hear it from you. Something that requires so little of your time has the power to make someone’s day. I believe in leading by example, so I’m going to use this platform to go first! 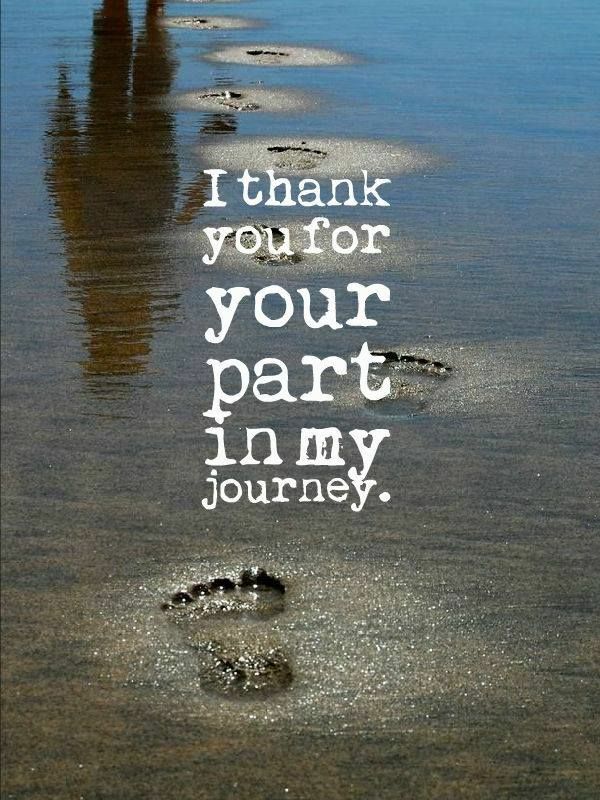 Thank you, to YOU, my readers! I try to reach each one of you personally but that isn’t always possible as my stats tracker doesn’t exactly tell me who is reading my posts. At times I find myself ready to lay aside the writing when life gets busy. I justify my thoughts reasoning that no one really reads my ramblings so it wouldn’t be a big deal if I quit. Then one of you lovely people will send me a note of thanks or encouragement and I’m reminded that if even one heart is stirred by something I say, then it is totally worth the effort it takes to maintain this humble page. Thank you to my church. I am so incredibly blessed with the lovingest bunch of people to do life with that it’s almost incomprehensible. They have celebrated my highs and helped to dig me out from my lows. Even when I’ve blown it BIG time, they’ve extended grace and offered help when it would have been just as easy to cast stones and dole out judgment. You all rock! 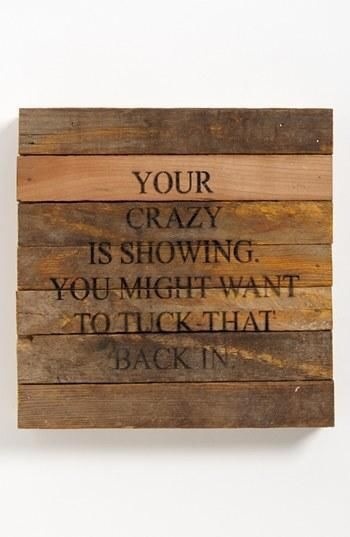 To my tribe, who puts up with my crazy on a daily basis, surely your eternal rewards will surpass all others! My sweet Bella with her sunny disposition, thanks for making momma smile first thing every morning. To my micromanager, Emma, thanks mini-me for running the show when momma is away 🙂 For Autumn, my little evangelist, thank you for your faith in Jesus AND people that never falters! Peyton, the kid that gets me, thank you for still making me feel needed even though you’re a teenager now. Thank you to Isaiah, who somehow always manages to make me laugh even on the days when I really just wanna cry. Big ol’ thanks to my coffee making, foot-rubbing, problem solving husband who has yet to kill me in my sleep. I adore you all and couldn’t imagine how boring my life would be without my circus monkeys! This list could go on for miles, but I think you get my drift. A few minutes out of my day to let people know just how important they are to me. It cost me nothing, but will hopefully brighten their day! I’ve always heard that it takes two weeks to form a habit. So why don’t we all make it a point to say thank you to at least one person every day for the next 14 days? Maybe then we won’t become forgetful and inadvertently make those around us feel underappreciated. Hello, my name is Valerie and I have a problem. Apparently I have a slight case of OCD when it comes to the cleanliness & organization of my home. While this wouldn’t be a big deal if I lived alone, it does pose a problem between myself and the other 6 people with whom I cohabitat. It’s not that they’re pigs, (not all of them anyways), but they don’t place as high a value on an orderly home as I do. They just don’t see the fun in housekeeping so it’s not a priority to them. I know, I don’t understand it either. Just last week I went on a cleaning frenzy that included scrubbing the floors on my hands & knees and bleaching the ceilings…don’t ask. I was feeling pretty accomplished until my brood came rolling in with muddy cleats, soaking wet running shoes and an assortment of stuff to clutter my recently decluttered space. This would be when my alter ego unleashed its fury. Sadly, this is not the only area where I struggle with being a control freak. I love volunteering and giving of my time & talents but sometimes, I get a little twitchy when I think a task should be done more efficiently. I don’t know what my problem is but I fully intend to ask Jesus why He made me this way 😉 During a recent episode, I paused to think about the amount of undue stress I was causing myself by getting my britches in a twist when things weren’t run the way I would have done it. Since when did I become manager of the universe?! At this point in my life, it would appear I have two options: I can continue with my controlling ways and drive my people batty to the point that they literally expect me to do it all OR I can do as the picture suggests and “tuck in my crazy” and simply be thankful for what they do instead of cringing at how they do it. Recently I have found myself dealing with a large dose of resentment with a side of bitterness. Every time I log on, I’m bombarded with vacation photos. Before y’all get all judgy on me, let’s just remember that I’m human too & deal with the same feelings and obstacles that everyone else faces. It seems like every person I know has been somewhere fantastic during summer break. Pictures of water slides, amusement parks, mountain cabins and the beach have not be in short supply. With every smiling face standing in front of a beautiful or exciting backdrop, I felt my anger go a little deeper. My husband works incredibly hard. We are not reckless spenders. We are faithful in our tithes. Seriously, Lord, don’t we deserve a break too?! I hadn’t been praying about much but I was whining about plenty! The other day as I sat wallowing in self-pity, I started scrolling through the camera roll on my phone. Self-pity quickly turned to guilt. We are so blessed with wonderful friends and family who have included us in some serious good times. Rather than be thankful for those moments of fellowship, I had focused in on the one thing we hadn’t been able to do. Lots of slip-n-slide parties with the best of friends! Day trip to the beach=lots of driving & exhaustion but totally worth it! Guilt has been replaced with gratitude. As you can see, we may not have been on a vacation in the traditional sense of the word, but we have done our best to enjoy every bit of this break within the constraints of a tight budget. I may never understand why some struggle more than others, but what I can do is be thankful for what I do have-a healthy family and friends who love on us in ways I could never repay them for. If you have found yourself in a similar “whoa is me” pit today, will you join me in looking for at least one thing you can give thanks for? I may not like it, I certainly don’t understand it, but I do firmly believe that whatever happens in this life is directly in line with what God deems best for those of us who believe in Him.